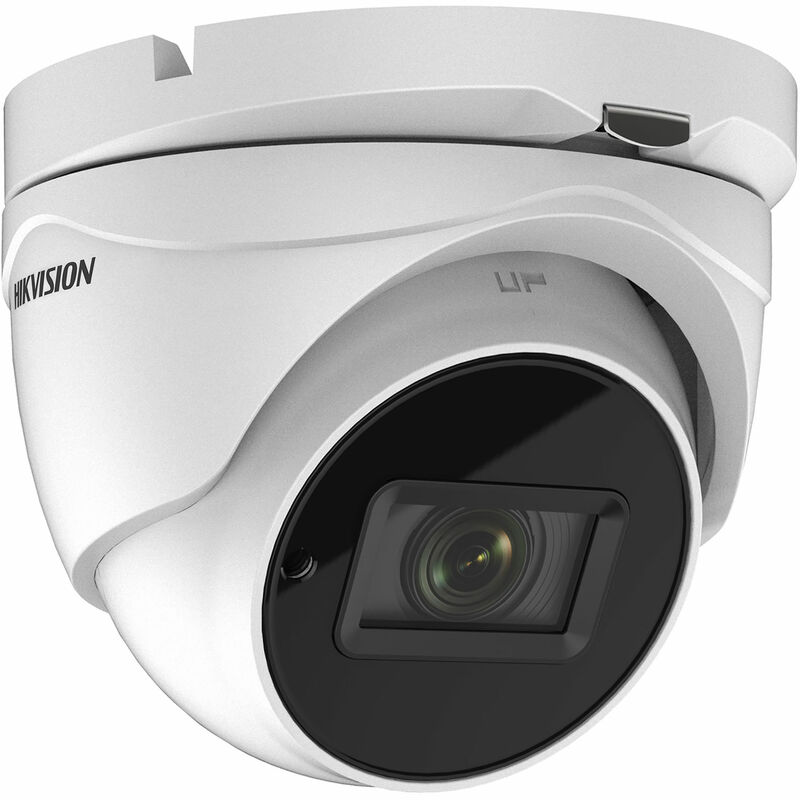 Get an 8MP view of your property using existing coax cables with the TurboHD DS-2CE78U8T-IT3 8MP Outdoor HD-TVI Turret Camera with Night Vision from Hikvision. Equipped with an 8MP CMOS sensor and a 2.8mm fixed lens, the camera captures video at resolutions up to 3840 x 2160 at 15 fps in a 102.2° field of view. The camera has an IR cut filter and IR LEDs for night vision with an effective range of up to 195'. Image enhancement features including a 120 dB wide dynamic range, automatic white balance, and backlight/highlight compensation enable you to capture clear images in varying lighting conditions. Designed for outdoor use, the camera is housed in an IP67-rated enclosure.